Every business needs 8.5x11" letterhead printing for businesses to show prestige and build their brand image. Our letterhead printing is available in front full color with back blank, one pms color letterhead printing, or two pms color letterhead printing. Letterheads also leave an impact of your business on clients and convey the quality of your business and work. 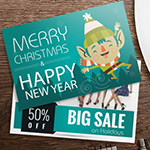 Try our postcard printing to reach out to your clients during the holiday season or to announce new products or deals. Our expert designers can design your letterhead in such a way that it will definitely impress your customers with your professional image. Everybody needs cheap letterhead printing with excellent quality which can attract the customers. Our quality letterhead paper printing is according to the customer's need with the size of 8.5x11" letterhead printing for law office or any kind of 24lb white premium letterhead printing. Company letterheads are the perfect way to promote your company, add professionalism to your correspondence, and communicate with your clients. Order our 8.5x11" business letterheads for insurance company and we will help you design and print your perfect company business letterhead. We also provide attractive 3.5x2" plastic business card printing at a very affordable price to accompany your letterhead printing. 2/0 PMS color means the front side of the letterhead will be printed with black ink and one PMS color. This white premium is the most popular standard paper that provides a high-quality professional letterhead. Our helpful staff will take your order from the drawing board to delivery so you can see satisfactory results sooner without unanswered questions or unnecessary confusion. We have fine tuned the art of online ordering and precision printing. Plus, our in-house design services give you the opportunity to work with talented designers on your custom letterhead designs so they will be guaranteed effective! Call us today (516-492-3000) to discover first-hand why so many customers keep coming back order after order. Free sample kits let you see and feel the results before you even place an order, or click to chat with a representative instantly online and get your order off to the right start! Any kind of post card printing is easy to order. Just simply place your order, and your materials will be delivered to your doorstep when completed. 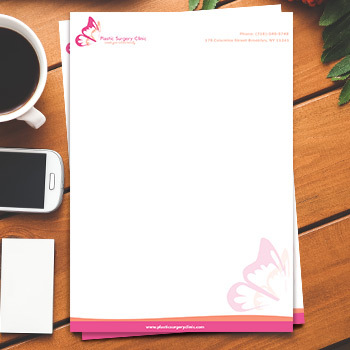 A letterhead template is in every kind of version, and it is easy to use the files. We provide our customers with overnight letterhead printing. Our high class creative letterhead printing will open new avenues for your business. 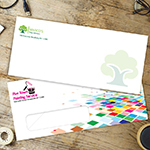 Business letterhead printing leaves an impact on your customers. We invite you to choose or to make a letterhead design of your choice. There are some important points to remember and implement in your letterhead printing, so that you get a much more impressive and distinct letterhead. The most important part of letterhead printing is the logo. This is because the core competencies, values, and company's philosophy are all attached to the logo. And it is this logo that is easily and quickly recognized by clients and business partners. With this logo on your letterhead, it is possible for people to familiarize themselves with your company and products, while developing their own perceptions whenever they see the logo. 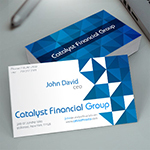 Make sure you use a unique logo for your company, so that it is easily recognized by clients. 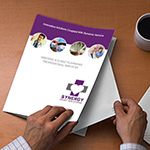 Include your company's name, phone numbers, and email address when printing letterheads. It is always better to use four color printing to give your business letter more character. I am glad that I always receive professional letterhead. So affordable! i love your quality material products. It gave a control on to our budget. Real fast and simple ! keep up your good work. All i have to say that you are the BEST! 24lb White Premium: This white premium uncoated is the most popular standard paper that provides a high-quality professional letterhead. Product: Letterhead, 8.5" X 11"
*Only first proof is free. After that it is $5 for each online proof.